Inspired by the energy of Dance Music DJ Johnny Yip started his DJ career spinning the turntables in the Europub bar at Dam Square in Amsterdam at the age of 14. Five years later he had the opportunity to work as light jockey at the famous extravagant club iT. Getting firsthand view with all the international DJ's playing there he still had the taste. After that adventure playing at club Mystere where he became the resident DJ on Fridays. In the meantime resident at the Europub Dam Square. From 2002 he organized in association with Yip Events his own parties like: Department XL & Absolute Asia. Playing his music on these events with international DJ's is the climax of a hard month of work and a magical uplifting experience known by regular visitors of Department XL. After 2007 he took a little break to come back in the scene at 2011 at the Europub Dam Square. In 2012 starting a residency with King Bee (All Star Fresh) and in 2013 His own night called "Lago Dance Presents Johnny Yip" From the creators of Lago Beats at the Majestic located at the Dam Square in Amsterdam with Lady Lago & Miss Sugaware. And now as producer dropping his first track with Lady Lago "Feel it " ending up at no.2 at the overall top 100 House Traxsource and second track with Guan Ellzoon "Sunset Preacher" at no.1 in the progressive House top 100 Traxsource. 2013 is the revelation year! Johnny Yip launch his own party PHUNKY FRIDAY! A result of lot of work. PHUNKY FRIDAY have his on party during one of the best Music Conference (ADE) at Majestic again! 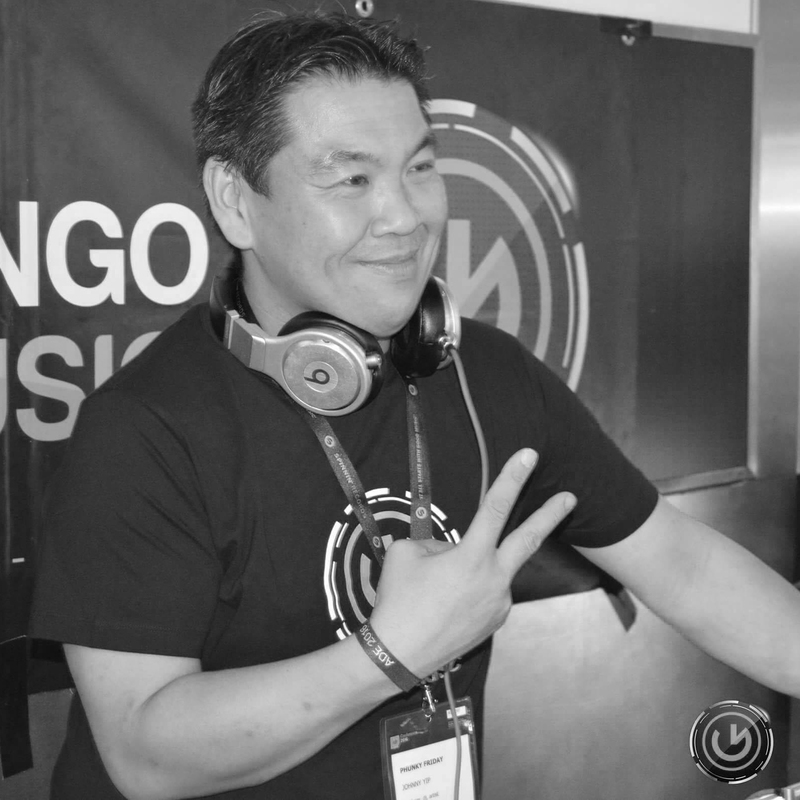 2014 - 2016 Johnny Yip join the Jango family on the mighty label Jango Music! His own Phunky Friday invite Jango Music on his place Majestic for many Showcase and he had chance to play @ Bora Bora Ibiza and is now seat near Robbie Rivera, Roger Sanchez, Sugarstarr, My Digital Enemy and many more!